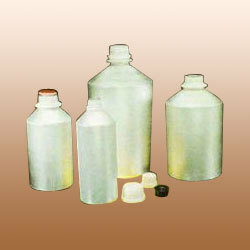 Leading Manufacturer of adhesive bottle from Bengaluru. We are reputed name in the industry for offering a wide range of Adhesive Bottle. These are produced using premium quality materials in accordance with the choices of our clients. These are stringently tested on different parameters to ensure dimensional accuracy, leak resistance and smooth finishing. The cap of these bottles is very easy to open and close. These are offered in the markets with customized solution to attain complete client satisfaction. Looking for Adhesive Bottle ?